Straight Goods Media: And The Beat Goes.....BOOM HA! At the tender age of 15 I was introduced to Canadian lyricist Shad K. Hailing from London, Ontario, Shad has already put out two dope CD's which were both local hits. 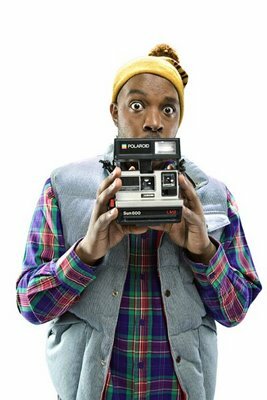 With the hit single "The Old Prince Still Live's At Home" Shad saw his popularity rise immensely, even getting some attention from Kanye West. With his newest CD "TSOL" coming out on May 25th he has recently released a song with Canadian Dj Smalltown Romeo. The beat for "BOOM HA" is funky and serves up nice for Shad's nice and smooth flow.